Perhaps this is a bit off-topic as the dragonflies here were not used as fish-bait; nor were they used as inspiration for some new fly pattern. 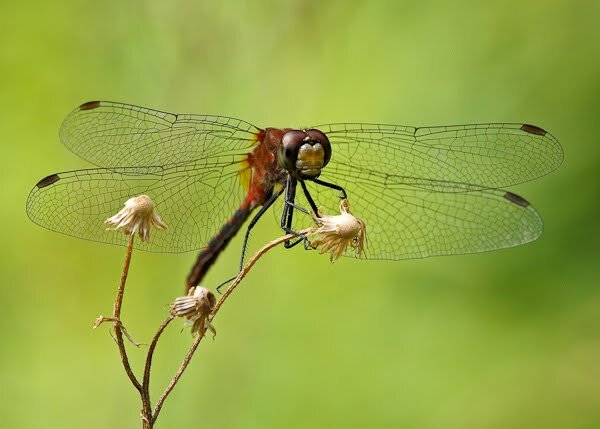 But, during the last couple of summers I have been having fun taking macro shots of dragonflies and butterflies. Dragonflies are of course desired food for fish. When fishing the farm ponds around my home in the summer, the bass often leap out of the water in hopes of catching a passing dragonfly or perhaps one landing on a lily pad. I once saw the front half of a dragonfly buzzing on the surface. I am sure a bass was somewhere nearby enjoying the back half. 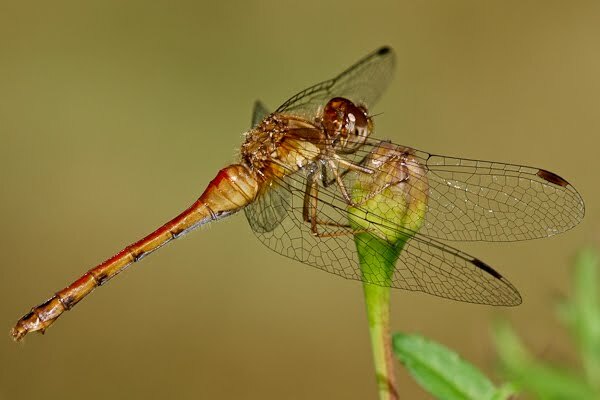 And of course, because dragonflies are aquatic insects, fish enjoy the big ugly nymphs that crawl along the rocks underwater and migrate to the waters edge to emerge as dragonflies. The two closeup images I am posting here today were actually taken in my back yard during the summer. They recently scored well in monthly competitions in my local photo club. Fortunately, dragonflies are relatively easy to photograph. They stay motionless for long periods, and if you accidentally scare them off, they will often return to the same perch within seconds.